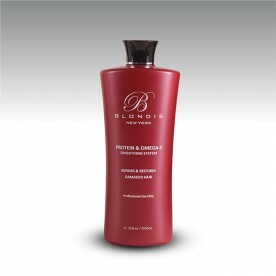 Blondis™ Protein & Omega-3 Smoothing System is a unique salon's solution that soothes, straightens, repairs and eliminates frizz for 5 months. This product is infused with keratin amino acids that is bonded into the cuticle by the heat of the flat iron to repair and strengthen the hair. 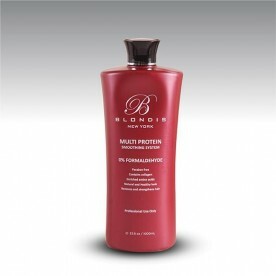 The formula contains fish oils which give hair rapid growth and extreme shine. 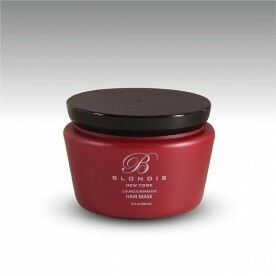 It contains vitamins and botanicals to soften, repair and shine hair. 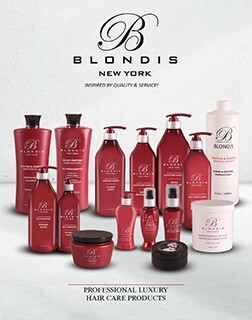 Blondis™ Luxurious Reparative Hair Shine Serum strengthens dull and damaged hair. 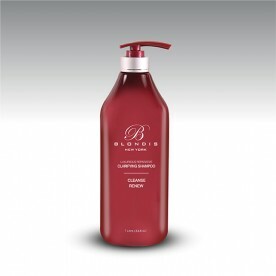 It leave the hair ultra-soft, full of shine and easily managed. It is infused with UV filters to help protect from sun damage as well as other harmful natural occurrences. Full of essential nutrients and vitamins, this shine serum gives the hair a long lasting, lustrous appearance. 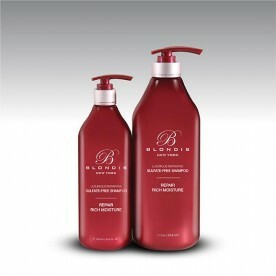 It is used in wet hair to help with protection and dry hair to eliminate frizz, leaving hair soft and shiny. Lifts up to 7 levels all while keeping hairs moisture. 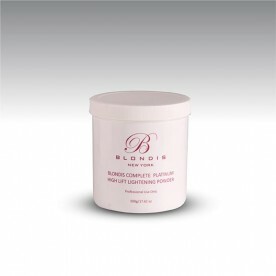 Gives the blond a healthy shiny and fabulous finish.